MUST PRE-REGISTER by Monday, January 28 in order to reserve a spot. Limited availability. 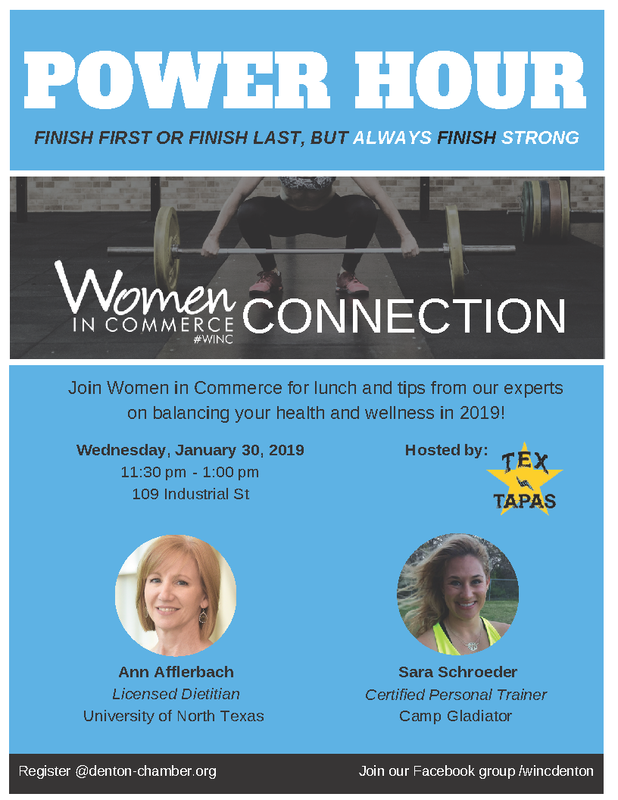 Join Women in Commerce for a power hour lunch with networking and guest speakers addressing this year's theme: balance! Many thanks to our sponsor Camp Gladiator for supporting Women in Commerce and the members of our WINC community. With the support of chamber members like CG, we are able to provide Denton businesswomen with opportunities to network, promote their businesses, and impart knowledge.